Promote the well being of military families especially veterans by connecting them and their organizations with one another and the general public by addressing their common interests in a collaborative manner thus enhancing the quality of life for all Americans. 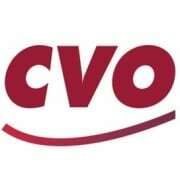 CVO is headquartered in the City of Chicago and is composed of veterans organizations and allied groups supporting the well being of military families and veterans for the purpose of engaging in activities designed to maintain and improve the quality of life for these American heroes and their families who have sacrificed so much so we may all live in peace, prosperity, and good fellowship. Would you recommend COALITION OF VETERANS ORGANIZATIONS?